Today is our one month anniversary! We were married October 27, 2018 and it already feels like a lifetime ago. I changed my name, and thus my new business name – Maddie Kay Photography. I changed brands and name to celebrate a milestone in my life. One that I look to capture in your own life – WEDDINGS! Wedding photography is truly my professional love! Asheville provides amazing locations for intimate outdoor ceremonies. The mountains here are seriously incredible. 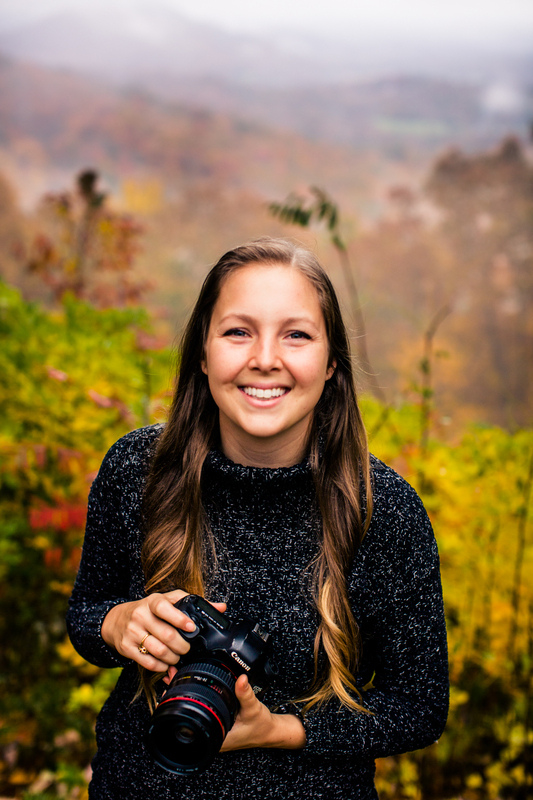 Asheville and the surrounding mountains are my hub but I am also a destination wedding photographer which I don’t think many people know (I brag a lot about Asheville). This year I photographed & captured videography for 18 weddings and traveled through 5 states to capture peoples big day (not including my own wedding day)! It was an absolute dream. As my season winds down, I am excited to reflect back and gear up for ENGAGEMENT SEASON! I have several engagement sessions for my upcoming 2019 couples. If you are looking for engagement photos don’t hesitate to reach out and snag a spot before they fill. Here is a sneak peak of life post marriage with the best husband and dogs a person could ask for! Tyler on the Blue Ridge Parkway.